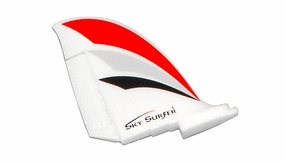 The AeroSky SkySurfer is an excellent glider for the pilot looking to soar the skies all day on a single charge! 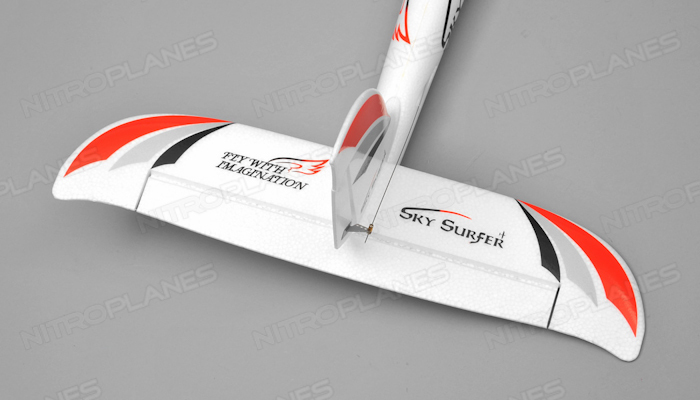 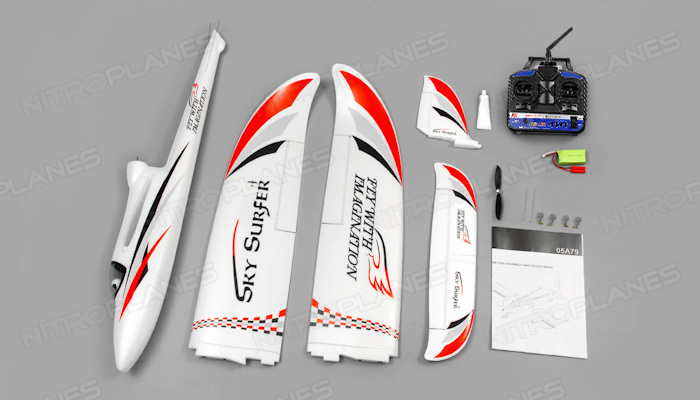 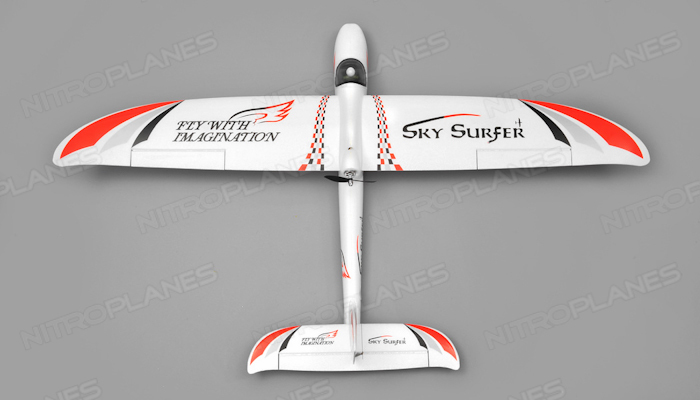 With a wingspan of about 55 inches the SkySurfer will sail the skies for hours as long as you keep it drifting in the thermals. 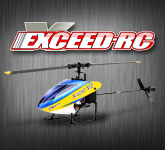 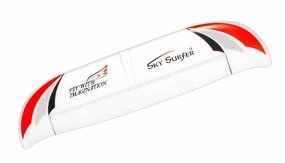 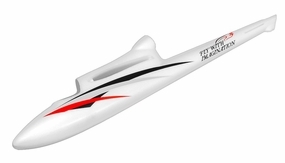 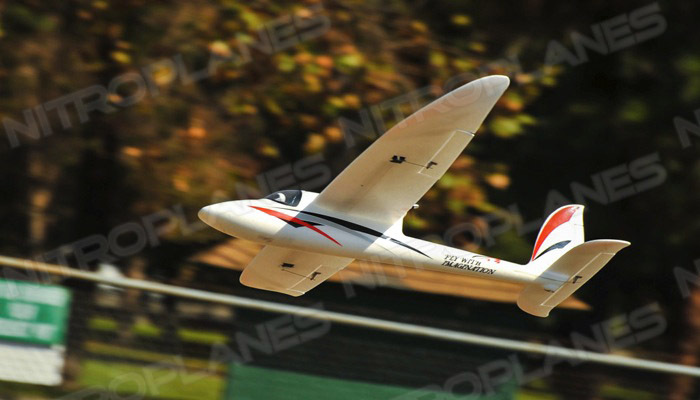 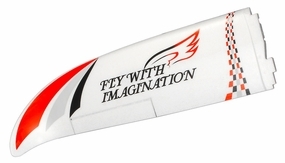 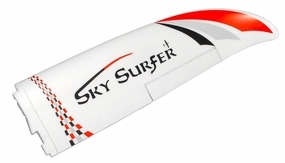 Take it to the cliffs or a beach and enjoy the graceful nature of gliding.� Equipped with a brushless outrunner pusher motor and electronic speed controller, this glider does not need to be towed. 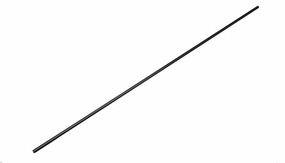 Toss it in the air and power away with authority. 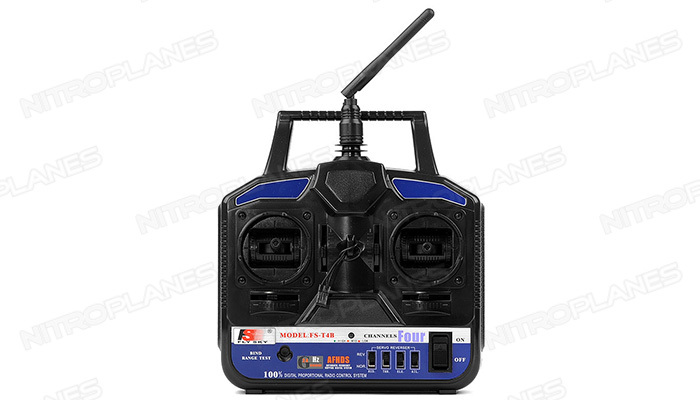 When the wind calms down or the thermals diminish the power setup is enough to help you find that next wind surfing session. 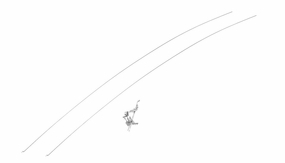 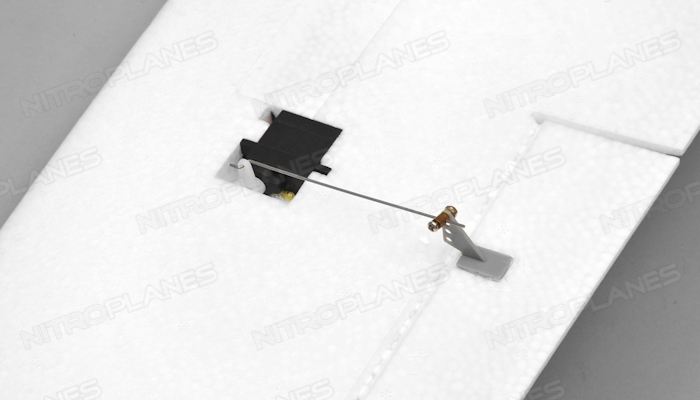 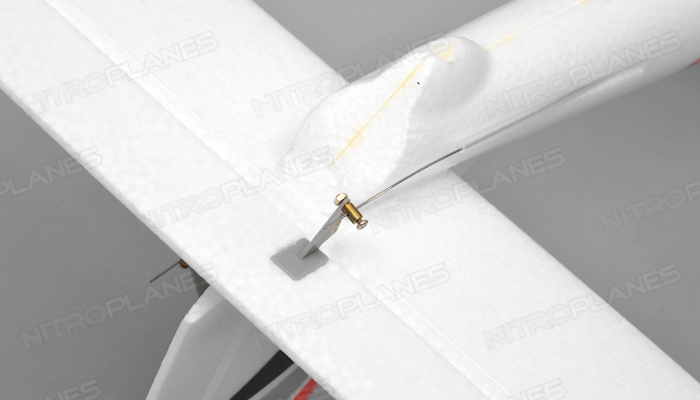 If you do happen to smack the side of the cliff or have a bad landing, the EPO construction ensures less damage to the airframe. 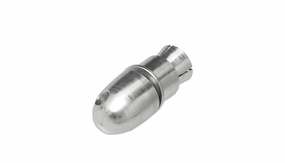 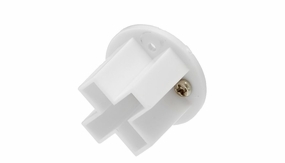 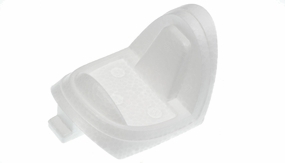 The removable canopy gives you quick and easy access to your receiver and battery changes. 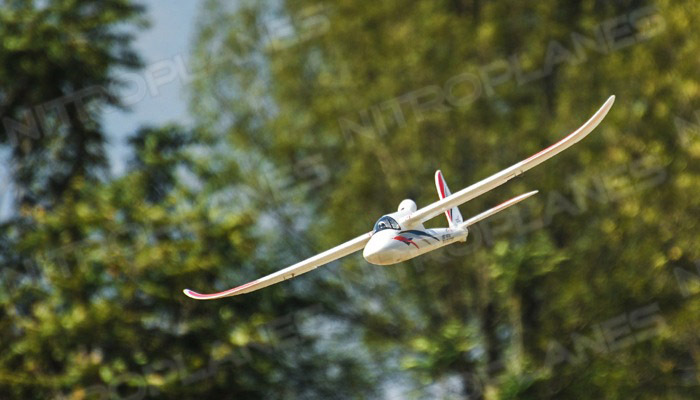 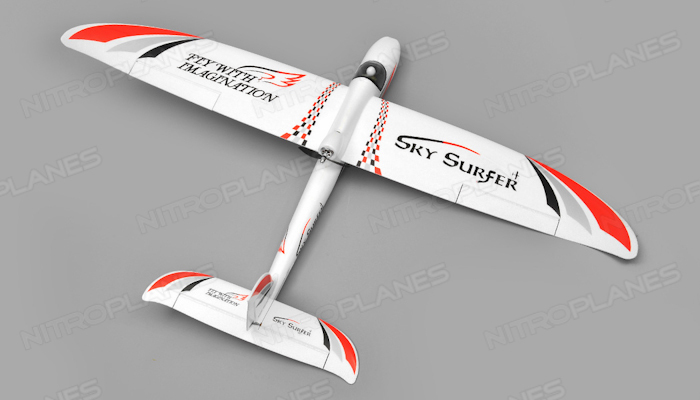 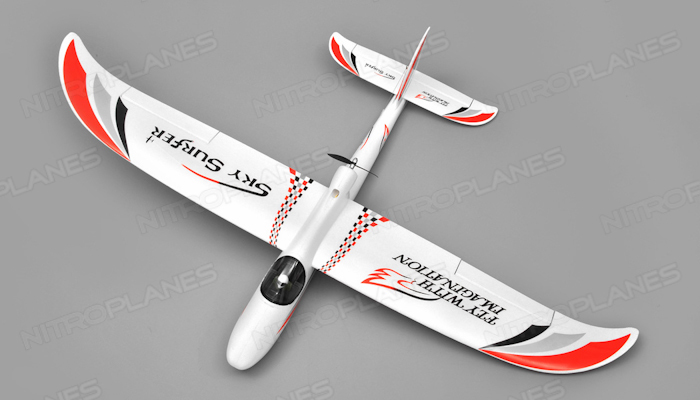 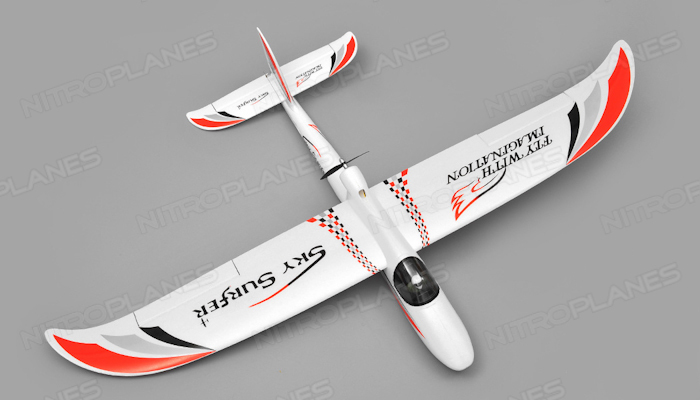 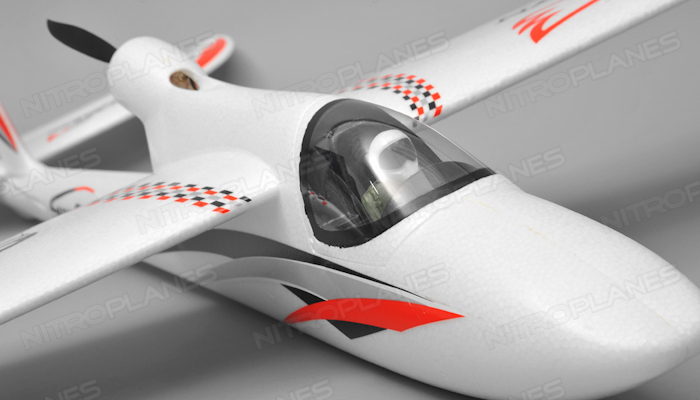 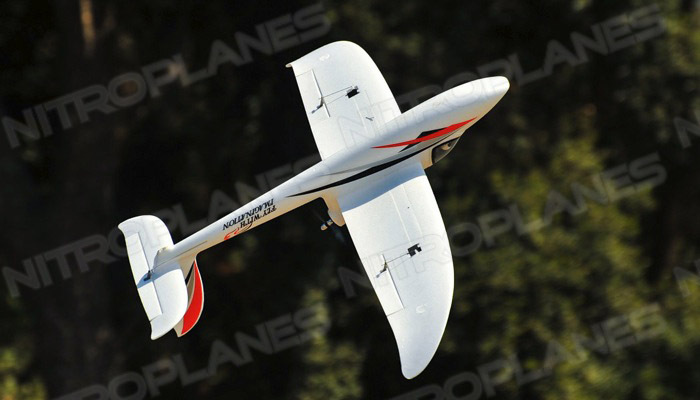 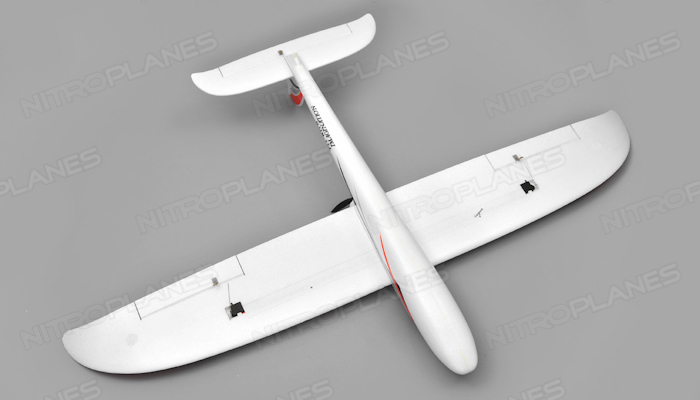 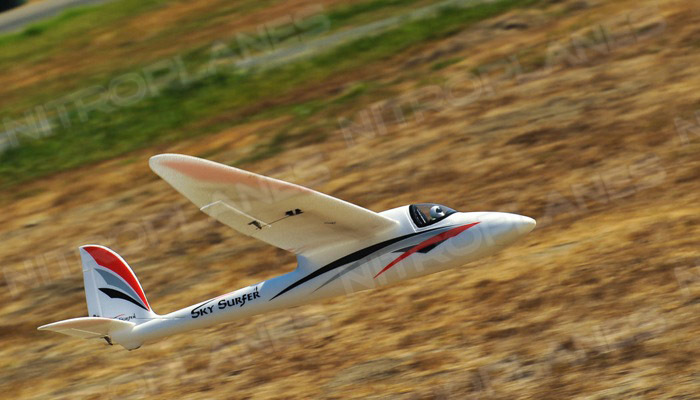 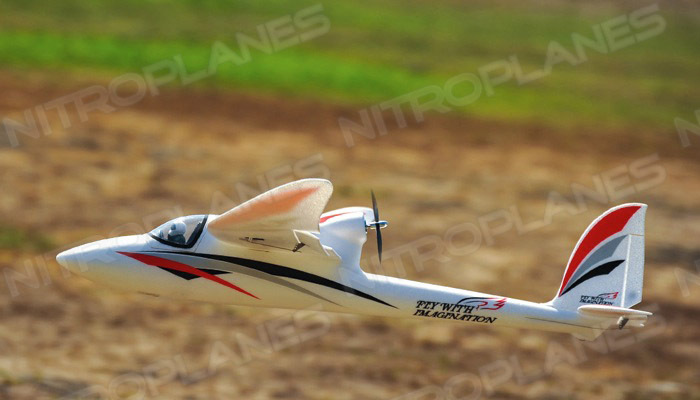 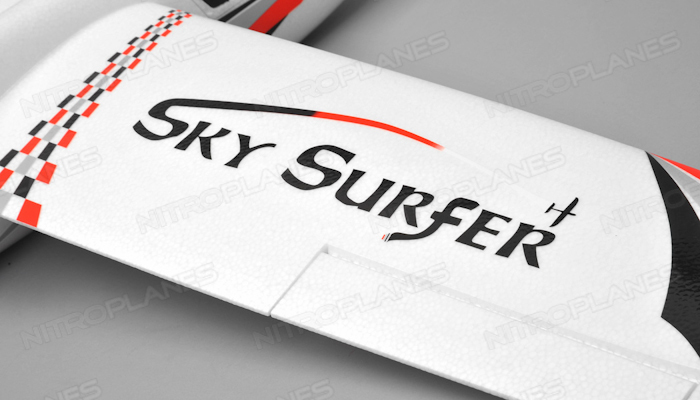 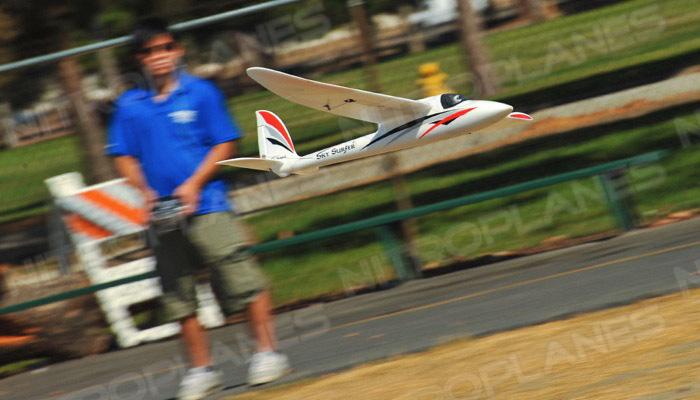 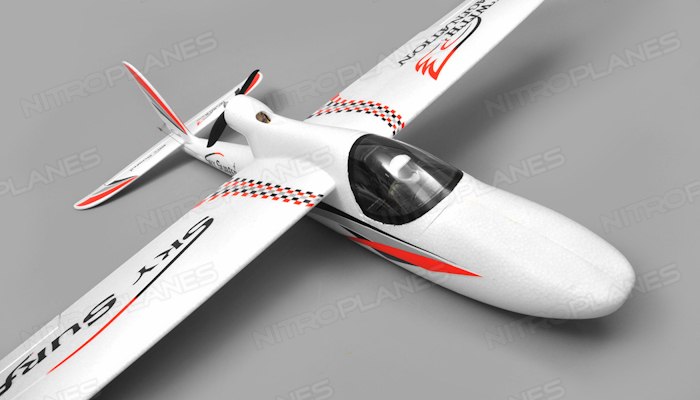 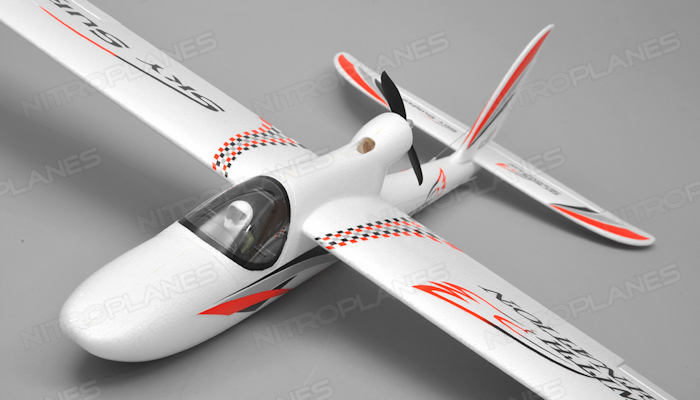 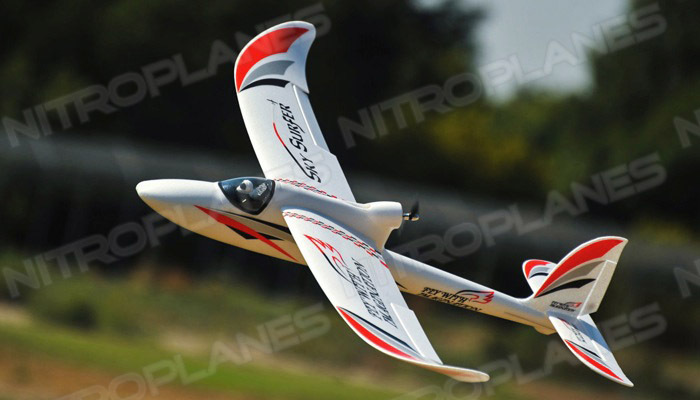 This AeroSky SkySurfer is a very capable glider in an awesome Ready to Fly package. 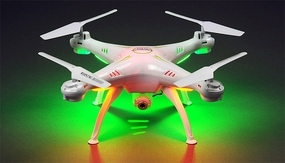 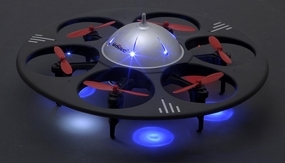 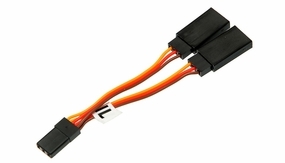 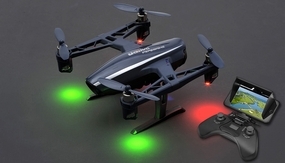 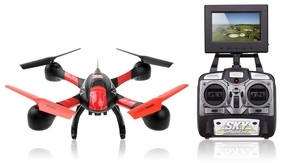 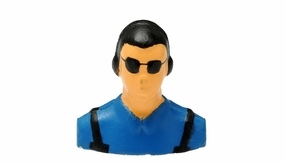 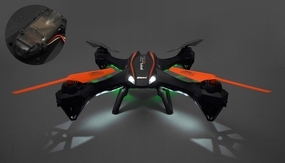 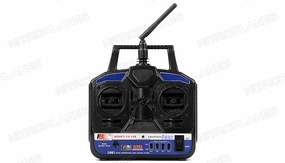 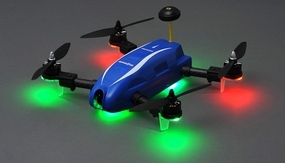 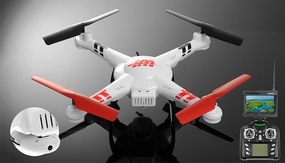 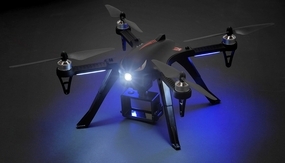 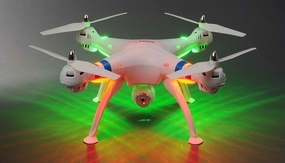 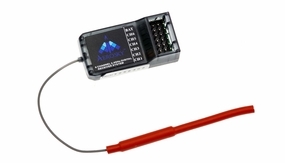 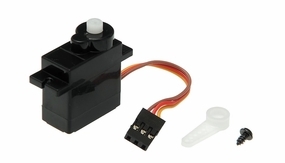 It includes a 2.4ghz receiver and transmitter with joysticks that provide a precise feel for the controls. 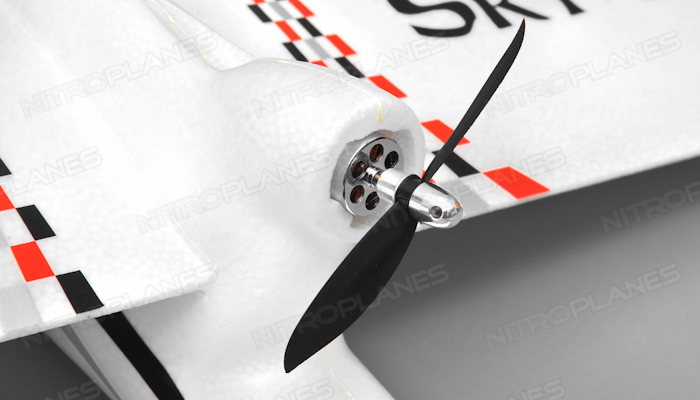 The power system and surface controls are pre-installed. 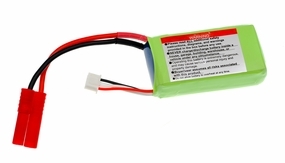 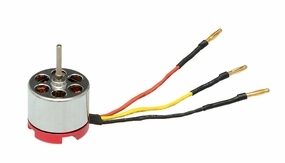 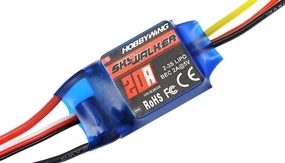 An 11.1v Li-Po 1300mah battery is also included. 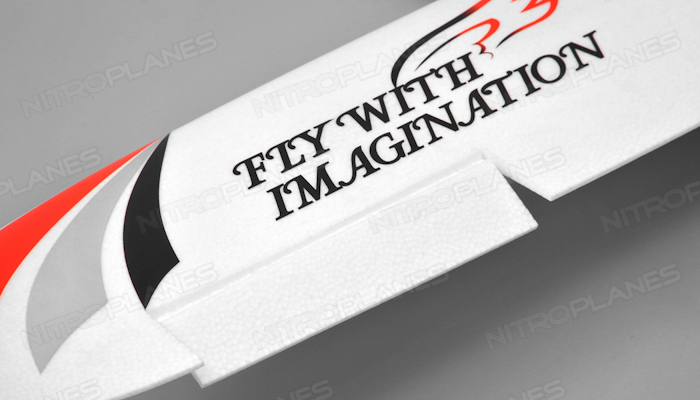 Minimum assembly is required to get this beauty soaring in the air.